Lisa Ono was born in Sao Paulo, Brazil, to a Japanese family. She lived in Brazil until the age of 10. She began singing and playing the guitar at the age of 15. She released her debuted album in 1989 in Japan. 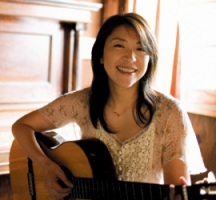 With her natural, warm voice and fluent Portuguese, she helped bring the bossa nova closer to a whole new generation of Japanese audience. After years of collaborating and recording with Brazilian artists, she recently began to widen her focus by recording the American standard songbook (Dream), Hawaian (Bossa Hula Nova) and Italian music (Questa Bossa Mia). 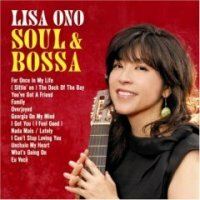 She gave the bossa nova treatment to classis soul music hits in her latest album Soul & Bossa.